Good, you had made your choice. For different reasons this time you can not make it better. What else could you enhance? 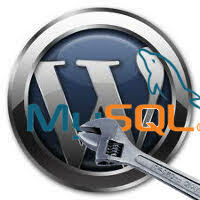 Server side: Yes, we can not (more exact we should not) modify WordPress core PHP source code. But there are some ways to raise its productivity, e.g. this way – “single.php is called twice – how to stop”. General idea, WordPress is powerful and universal. If you don’t need some feature, block, exclude it – such step will make WordPress lighter and faster. With such thought in your head you use minimal set of plugins with effective PHP code. Let’s mark this position as ‘processed’ too. Is your posts content dynamic or static? If it is static why server should render it executing PHP code, retriving from database, formatting, rendering, etc. again and again? Yes, here we go to other important theme – content caching. There are a lot of plugins, which put successfully rendered content into static HTML form and return it on to user requests very fast without PHP and MySQL database overload. From one side, it could make your site as quick as a bullet, but other side exists too. What will you lose, when you make you site more, if not the whole one, yes, fast, but – static? It is the theme of the separate and serious talk and need separate post to discuss. What other productivity reserve do we have? From where WordPress gets all those posts content? Yes, three times Yes – from MySQL database. So database operations speed is important too and it is not last thing for WordPress driven site productivity. 2) it probably has “database” and “optimize” keywords in its title or description. 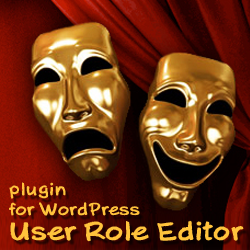 I installed and tried every plugin from the list above on the test site with WordPress version 3.4.2. As the result I published for you some screenshots and videos of plugins in action. Those staff is available from the links to the right of every plugin above. All reviewed plugins are devided on two groups: 1st, makes MySQL database tables optimization only; 2nd, makes WordPress database content cleanup, deletes some unneeded records and only then makes the same MySQL database tables optimization. Logically all is fine. We have some non-optimized things at the database. We have optimization tool, built into database server itself, in order to fix that. Why do not use it? Excellent, we use it, all things become optimized and we are happy. Are you happy? I’m not. Why? I didn’t note any change in my database queries productivity. Why? Because of on the small and even middle sized databases things discussed above are not critical. MySQL is a very powerfull RDBMS (relational database management system). It is developed to work with data sets consisted of hundred thousands even billion records. How much post average blogger writes a year: 52 if he publishes new post once a week, 104 if – twice a week, 365 – if – every day. Do you catch the idea? Finally, all those optimizations hints and toys are important and do matter for the really large databases only. Thus, is you manage 1000+ blogs multi-site WordPress network and grow – use it. If you are one of thousands average sized blog owners with <500 posts a year, you can use (at least once a year) or not use it. I think those 0.01 of a second you can win in speed is not the thing you are searching for in the endless pursuit for speed, optimization and, as the result - traffic. Other side of the coin: table space defragmentation leads reduces its size. Space allocation for new added recoreds is always slower then old space reuse. Thus only practice, measurements and experiment could show you, if you need database optimization really or not. Do you need more information on the database optimization necessity? Read this useful post “How often should you use OPTIMIZE TABLE?”. Conclusion and final recomendation: If you decide to be optimized, use plugin, which does a lot of work for you at once, plugin like rvg-optimize-database: Optimize Database after Deleting Revisions, to cleanup and optimize WordPress tables. As addition use plugins which help you to clear trash from uninstalled plugins: Plugins Garbage Collector or WPDBSpringClean. As for me, I prefer “Plugins Garbage Collector”. I developed this plugin myself, but it’s not the only reason. “Plugins Garbage Collector” gives you more detailed information about database tables, which are used by active or forgotten by de-installed plugins. Other additional argument – it doesn’t duplicate database optimization functionality, which you have already in “Optimize Database after Deleting Revisions” plugin. This entry was posted on Monday, November 5th, 2012 at 10:13	and is filed under WordPress, WordPress hints, advices. You can follow any responses to this entry through the RSS 2.0 feed. You can skip to the end and leave a response. Pinging is currently not allowed.